At Revved Business, our team has been trained and certified by Google to supply Google Street View | Trusted for San Antonio, TX. 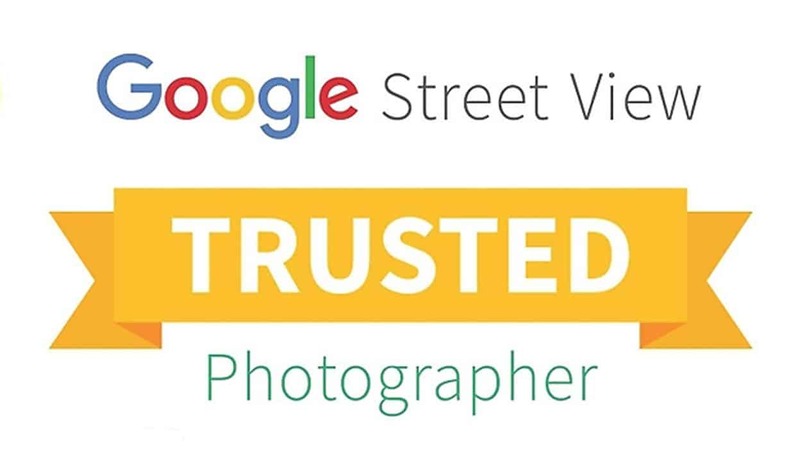 If you’re not familiar with this new trend, Google Street View | Trusted & Virtual Tours is an exciting new online marketing initiative using the same technology as Google StreetView. It allows potential customers in your area who find you on Google to take a fully interactive, 360° virtual ‘walk-through’ of your business—it’s just like being there! With this feature, your business will visually stand out with enhanced Google search results, Google Maps, Places and Google+ pages. Your Virtual Tour can also be embedded into your business website and easily shared across social media platforms. So you may be asking, “why hire a Google Trusted Photographer?” Working with our team, we will provide you with an amazing 360 degree virtual tours for your business or unique space. You’ll have the ability to show your customers why your business is amazing by giving them a look on the inside! Whether you’re a restaurant looking show off your ambiance or you want to give a behind the scenes look at your veterinary practice, a 360 degree photo tour from a Trusted Photographer can help. This service is designed to promote your business, not your website. Google Street View | Trusted lets you can explore inside of a business in a fluid virtual tour and helps promote businesses on Google Maps, Google+ Local Business & Google Search. Not to mention, this new feature allows you to includes up to 15 ‘point of interest’ professionally shot still images to showcase all the key features that make your business special. These might include exterior and interior decor photos, products your business provides, services your business provides, hours of operation, and additional business information and special interest photos. It doesn’t matter whether you run a retail store, hotel, bar, restaurant, gym, flower shop, car showroom, live venue, art gallery, museum, modern office or manufacturing company—just about any business that welcomes clients through its doors can benefit from this engaging business marketing tool. In addition to high quality photos and virtual tours of your establishment, you’ll also benefit in Google search results. By combining your presence on Google Maps, Google+ Local Business and Google Search, you will get better ranking and search placement. If you’re still wondering what exactly a Google Trusted Photographer is, let’s break it down in simpler terms. A Google Trusted Photographer is a 360 photography professional who has been certified by Google to take 360 photos of local businesses. Google has a specific process that you must complete in order to become “trusted”. In order to take the best quality photos, you need a camera that is specially designed to take 360 degree shots. Why hire a Google Trusted Photographer? There are multiple benefits to hiring a trusted photographer. First, it helps your customers see your space and understand more about your business. Second, it can help with your position in search results. Google wants to show the best result to the person searching. A business with a full virtual tour is going to a better option to show instead of a business without any photos, right? For most businesses we work with, the actual photo process takes around 1-3 hours. After the shoot, we review and edit the photos for quality. From there, we upload the photos and we’re done! From start to finish, you should expect the process to take 5-7 business days. Generally, you’ll want to have your business open and operating “business as usual” during the time of the photo shoot. The equipment used is basically one tripod and a camera, therefore a discreet operation is ensured with little or no no interruptions to daily business or your customers. For privacy, Google’s software blurs out any faces that may appear in photograph’s too, so ultimate discretion is guaranteed. Prior to the shoot, you can prepare your business however you’d like! We can come in early in the morning or late at night if you’d prefer to show your business pristine and without customers. Otherwise, we can shoot during business hours. Typically, it’s best for online visitors to view your virtual tour and see the true size and layout of your business. Obviously, they’ll expect it to be a ‘living, breathing’ business too so customers here and there will not be unexpected or seem unusual. Ready to show San Antonio your business? At Revved Business, we’re ready to help. Here’s the basic step by step process for getting your own super 360 photos. Give us a call and let us know what days and time work best for you. We are very flexible and understand that as a business owner, you don’t have a lot of time! You prepare your business however you’d like! Our photographer will show up, you give us a quick tour and we start the shoot. Within 5-7 business days your new photos and virtual tour are uploaded and ready to go!